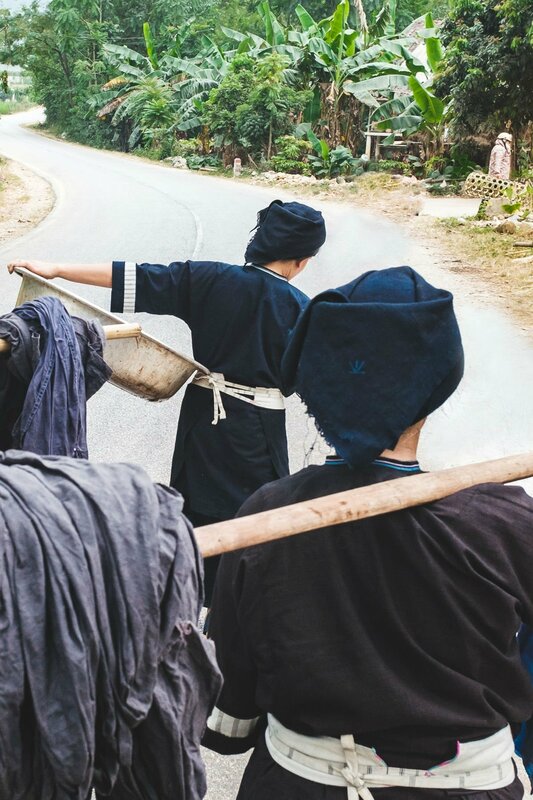 In Vietnam, indigo dyeing has a legacy that stretches back centuries. Expertise is passed down from one generation to the next in many ethnic minority communities. This includes well worn knowledge on plant species, dyeing processes, and the impact of weather fluctuations on pigment composition. 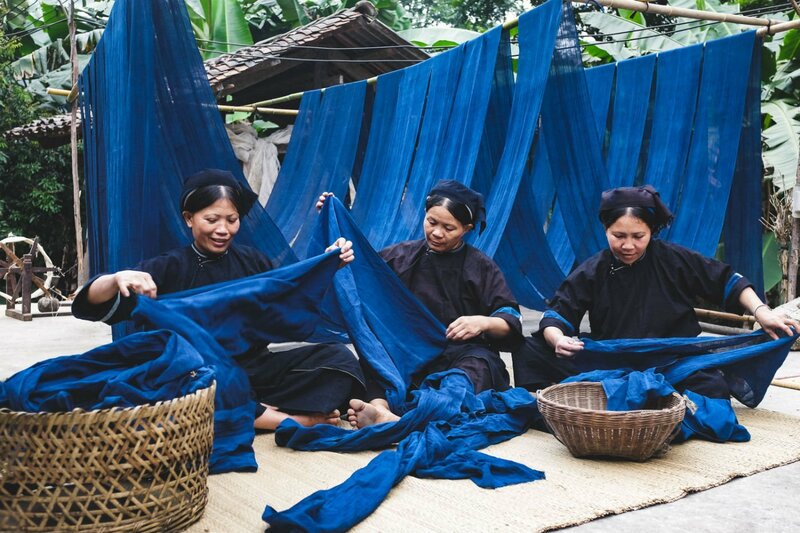 Indigo is commonly used to dye textiles for making clothes, encompassing both simple farming outfits and elaborate festival garments. As a result, the importance of indigo to these communities, and the depth of knowledge still preserved, remains remarkable. 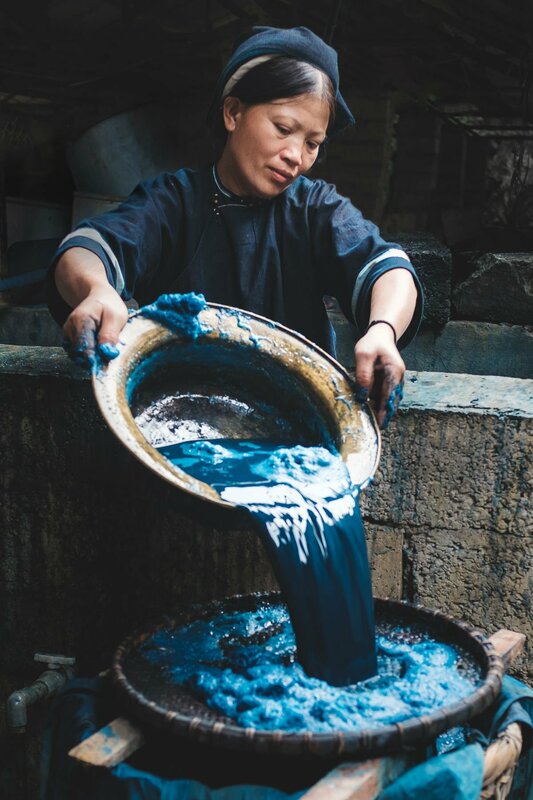 Kilomet109 has been working with artisans from several communities to experiment with indigo pigments since 2012. The experimentation process is both deliberate and relaxed, akin to an open-air atelier. We collaborate to test the boundaries of what the pigments can do. The result of more than 5 years of experimenting is the dynamic range of colors and shades that can be found exclusively in two of our most recent annual collections, PHIEU and SEEDS. 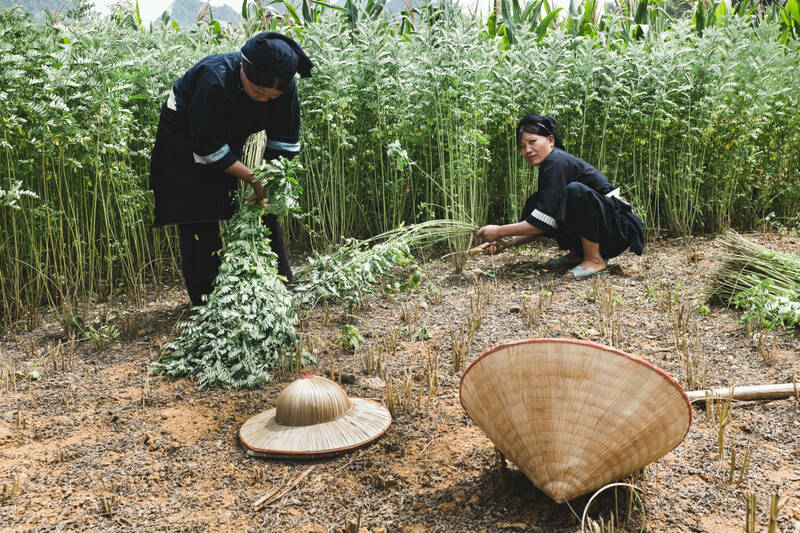 Above: Nùng An women harvesting small leafed indigo. 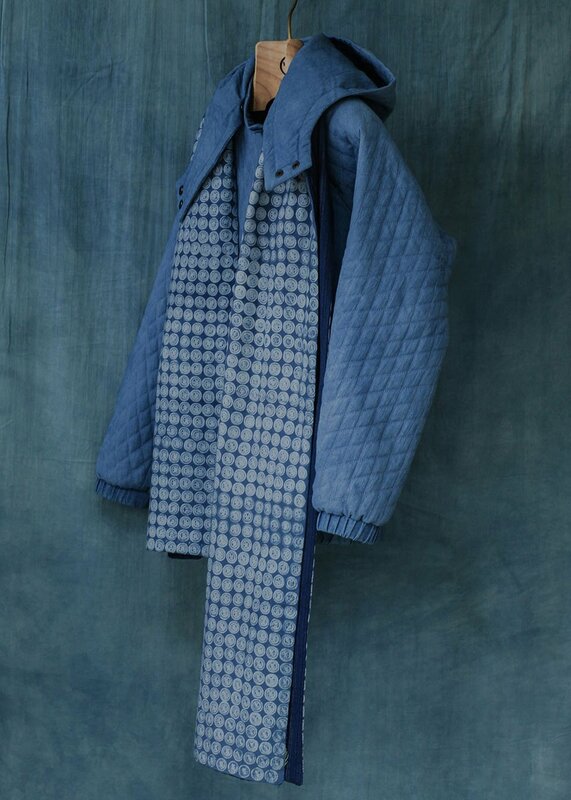 Bottom: Folding indigo dyed cloth. The dyeing process is remarkably labor intensive. To create the dense charcoal blue color found in our Classic Collar menswear Jacket, for example, we must dip the fabric up to 40 times in the dyeing vat over a period of 60 days. We then collect tree bark and leaves from the local forest to help set the color. We also create experimental formulas for producing lighter shades of indigo, from stone gray, to sky blue, to night-tide teal, all of which can be found in our Fold Midi-Skirt. Kilomet109 grows all of the indigo that is used for our products. The process began in 2012 with a small patch in the garden of one of our collaborators. Our production has since grown to cover more than 1.5 hectares of land and two harvests per year. In addition, we are now growing two kinds of indigo dye plants: large leafed indigo (known as Assam indigo), and small leafed indigo (known as True Indigo or Indigofera tinctoria). Each of these species produce the sumptuous blue colors that are found in our designs. Looking forward, we plan to continue having fun with dye experimentation. We will also continue to push the boundaries of what indigo can do. Our focus will be to provide our fans with more of the unique colors and designs that we are so passionate about creating. 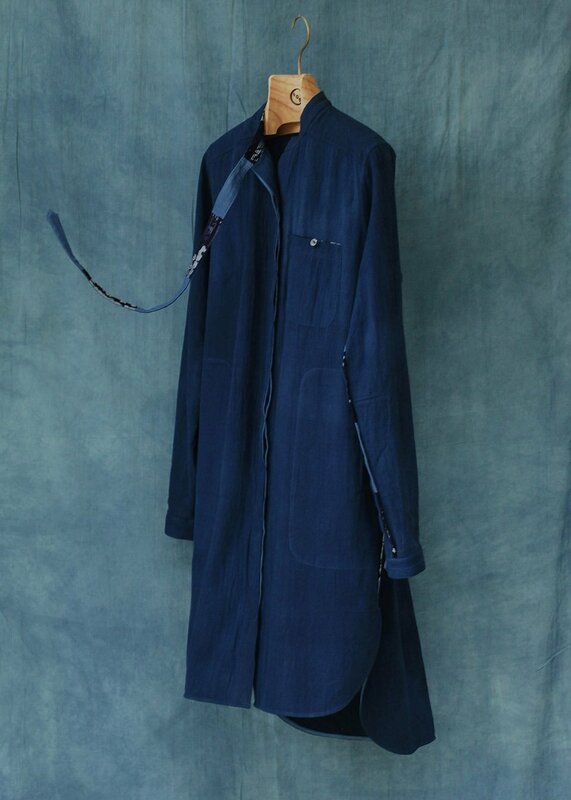 To see more of what we do with indigo please visit our online shop. We highly recommend wearing dark co-pieces with indigo products for the first few wears. There can be some initial dye bleeding and therefore extra caution should always be paid to prevent any unwanted stains on light colored co-pieces.